“There are no differences in the NDA… We are working together and will continue to work,” said Nitish Kumar, who is president of the Janata Dal-United (JD-U), an ally of the Bharatiya Janata Party (BJP), here. 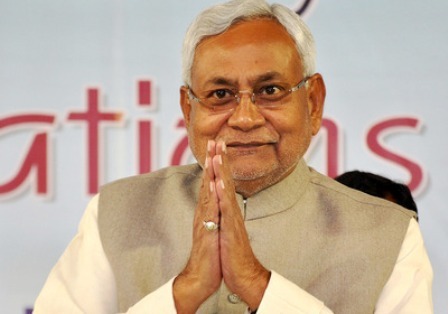 This is first time since the reports of growing differences among constituents of the National Democratic Alliance (NDA) over seat sharing for the 2019 Lok Sabha polls surfaced that Nitish Kumar has publicly said that the NDA was united and there were no differences over seat sharing. “Issues related to polls will be discussed at the time of polls,” he said. The Chief Minister blamed the media for creating and spreading news of differences in the ruling NDA in the state. Rashtriya Lok Samata Party (RLSP) chief and Union Minister Upendra Kushwaha last week demanded a decision on which party would contest how many seats in the 2019 Lok Sabha elections, citing lack of coordination in the BJP-led NDA. Soon after that the Lok Janshakti Party (LJP) of Union Minister Ram Vilas Paswan said that it would not compromise on the seats held by it and supported the contention of Kushwaha. Two senior JD-U leaders Pawan Verma and K.C. Tyagi claimed that Nitish Kumar would spearhead the NDA challenge next year and later other JD-U leaders said that the party would contest 25 of the 40 Lok Sabha seats in Bihar as it contested in 2009 as an ally of the NDA.